Officer Terrance Michael Horgan knew he was dying. He lay on his back, staring at the ceiling. He could sense life slowly ebbing away, could feel the wetness of the blood spreading on his Hawaiian shirt. He knew he was alone now. Why, he thought, when I heard the door open, didn't I notice that the footsteps sounded wrong? I could have slipped out my back-up gun. What was I thinking? I've always been so damn careful, so damn smart. But not this time. He remembered his surprise when he saw the gun pointed at him. the taste of metal in his mouth as he fought to tighten his loosening bowels. Horgan's mind kept shouting that this should not be happening to him. He was too young, not ready. He was "The Man," tougher, smarter than everyone else. If he hadn't come here tonight, he would have been in a bar, laughing with his buddies, watching the women come in. He would have pulled a woman close to him, drinking tequila shooters with a hand on the curve of her shoulder, touching her neck and feeling the strands of her hair between his fingers, looking over the room, daring anyone to challenge him. Readers know in the first few pages that a cop has been killed at the same time a robbery was happening. They can also surmise that having the robber there at that exact time was on purpose. Another point that bothered me about "Bobby" - yes, I had trouble with a lawyer being called Bobby, but that's just my personal opinion... Anyway, it was made quite clear that Bobby's one and only interest in working a case was for his own personal satisfaction and his desire...his need...to win. Some may say that's a good thing, but I didn't think so. Earl paid little attention to his client and actually entered into the trial without prep and agreement with his client... I guess because he'd already decided not to use any of the evidence that had been discovered? If that were true, then I would have expected an explanation, at least for the benefit of the reader. In fact, given the decision made by Earl, (that is, the author) somewhere along the way, that he wasn't going to bring in the criminal groups, nor did he bring in the fact that Seabrook had been paid in kind to rob the safe at the Chinese restaurant - by the bail bondsman, in fact... the defense included only one witness... Believe me, there was a lot of circumstantial evidence discussed in the book that could have helped Seabrooke, the defendant. Why the author chose not to include any of that, was beyond my understanding... It felt contrived, unrealistic, to have gathered so much information, yet not even attempt to get it into discussion??? 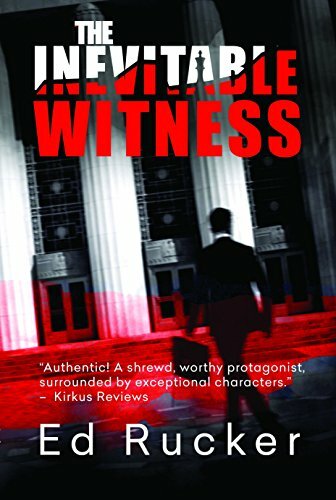 While well-written and certainly a thriller in tone and story, it certainly didn't provide a book which I would recommend to others who enjoy legal novels that are both thrilling...and representative of a legal system that can indeed work for the good of the clients and the country... I wanted to call rewrite on the entire defense court trial...what a shame... Please note that I received an uncorrected ARC for this review...I seriously doubt, however, that what I found was later changed... I cannot recommend the book... Do check out other reviews, of course!